From complete turnkey solutions to individual products we offer full planning and project management services based on your unique processing requirements. With over 25 years in business we have the in-depth knowledge and industry expertise to manage small specialist projects or large turnkey solutions from start to finish. We bring invaluable know-how and experience that will ensure your project is a success, minimising downtime, reducing waste, maximising outputs and testing and installation services that will ensure there is no come back from any project we are involved in. Give us a call if you want more details, we’d love to talk you through your requirements. These projects have always been carried out on-time and professionally with innovative solutions from Spectac International which have saved time and impacted on numerous projects positively. 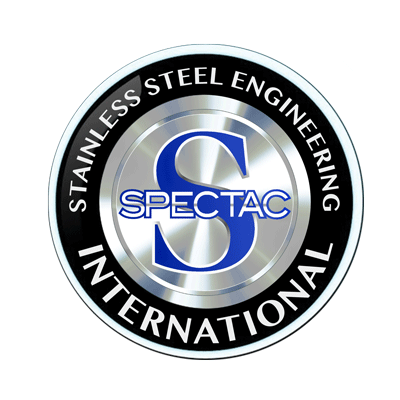 I would recommend Spectac International for Stainless Steel Manufacturing to anyone in the Food & Beverages industries. Spectac International have carried out projects for Norbrook Laboratories over a number of years, all of which were manufactured to very high quality standards. Spectac have an excellent focus on their customers and their attention to detail in manufacturing and turnkey solutions. There are always a number of critical criteria we look for in our manufacturing companies and Spectac tick all the boxes. We are satisfied customers and hope to continue working with them in the future. Our Spectac tanks are the best built tanks in the brewery, and they look stunning also. Couple that with a fast turnover from order to having the tanks in position and ready for product, you can’t find any better! ” I have worked with Spectac International throughout the years and not only are they excellent manufacturers but they care about their customers and invest their full attention to every project I have worked with them on. Spectac International provide solutions and run all projects that they are involved in in a professional manner. I would like to express my complete satisfaction with Spectac International and hope to do more business with them in the future. Spectac International understand the ins and outs of Stainless Steel manufacturing and the biggest benefit to us is that Spectac International always seem to provide expertise and practical solutions to what we need. Henkel have worked with Spectac International on different projects for a number of years now. Their team are highly skilled and their attention to quality is flawless. We at Henkel look forward on continuing our relationship with Spectac International on more projects in the future. Spectac International recently installed a stainless steel pipework system at our Ballaghaderreen plant. The job was well planned, completed promptly and the quality of the work was excellent. The Spectac International team on site were very professional and flexible when required. I would be happy to use Spectac International for similar work in the future.